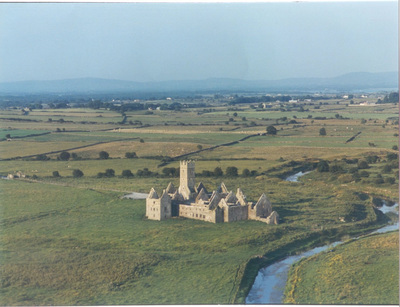 Ross Errilly (or Ross Abbey as it is known locally and incorrectly) is situated in the parish of Killursa (Cill Fhursa), about a mile north-west of Headford. Luke Wadding writes that the monastery was built in 1351 AD. It is stated elsewhere that credit for the actual building may be given to the De Burgos. In 1498 Ross was enlarged and beautified very considerably by the charitable bounty of McWilliam Gaynard of nearby Cargin Castle. 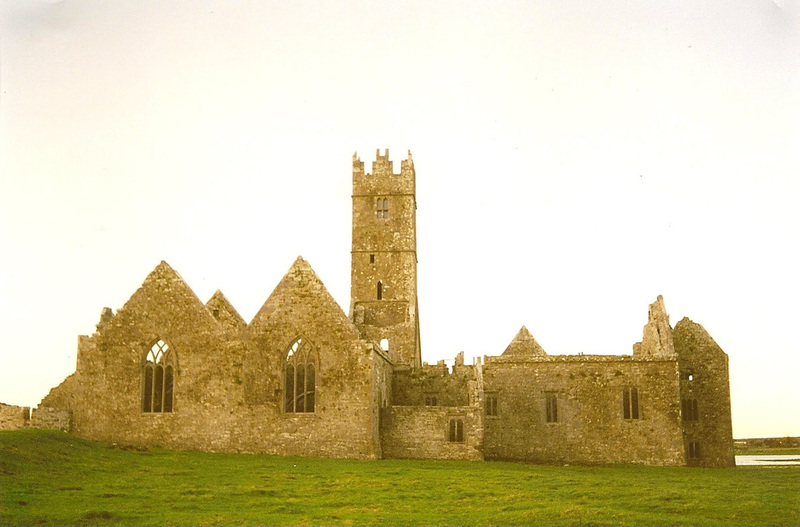 We know that there were many years of peaceful work at the friary until the year 1538 when the order came for the suppression of the monasteries. The monks were scattered, many of them slain and the friary had an unstable career for over fifty years. However, it came under the protection of the McWilliam Burgos, afterwards Earls of Clanrickarde. Five times the monks fled, to return again and again under the protection of McWilliam Burgo or the Burgos of Castlehackett. With the wane of the power of the De Burgos in the great difficulties of the time, the monks left in 1753, never to return. After a century, in 1868, Oliver Burke had the whole place somewhat cleared up. 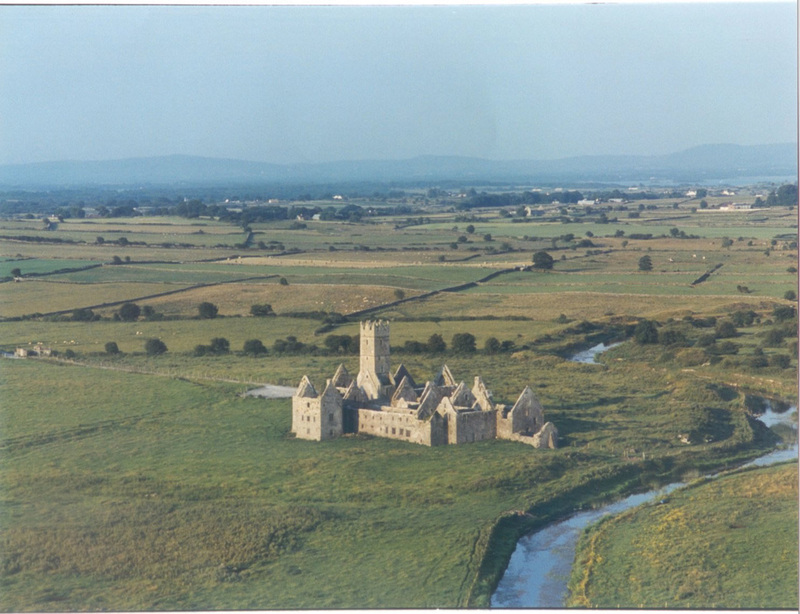 Now the friary looks solitary and desolate beside the Black River, but still showing in ruin some of the glory it had for four hundred years. Today, the ruin of Ross Errilly is maintained by the Office of Public Works and is open to the public free of charge. Many tourists now visit the friary on their way to Connemara and Cong. There is a legend that the friary was founded at the request of the Archbishop of Tuam, a Franciscan, in time of plague. It says he had a vision or dream in which he saw three swans, each carrying an ear of flax ( “ros” in Irish) in its beak. Where the swans would drop the flax seed was to be the site of a monastery. It is from this legend that it got its Irish name Ros na dTri Eala – the flax seed of the three swans. The NLI online catalogue has a collection of photos take by William Lawrence in the late 1800s and early 1900s. 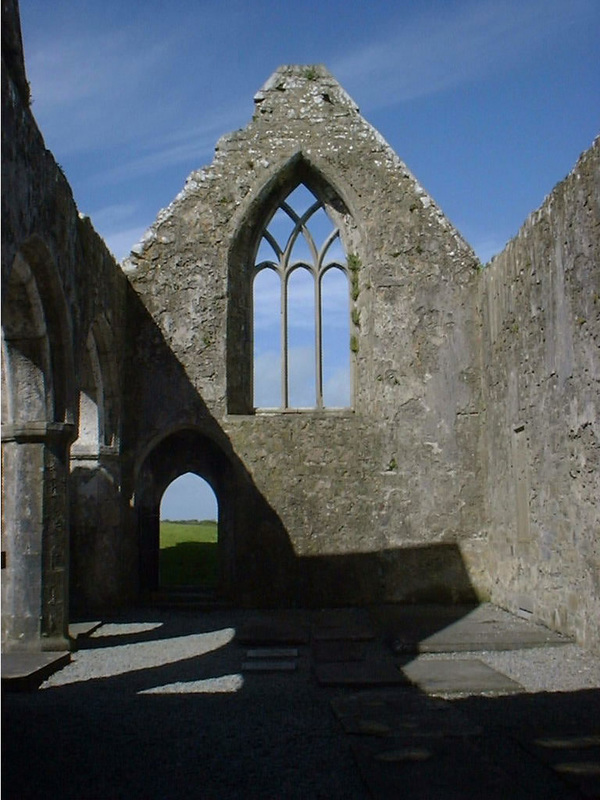 He has many photos of Ross Abbey, taken when it was still ivy covered and relatively unknown. Visit their page here to see the images. 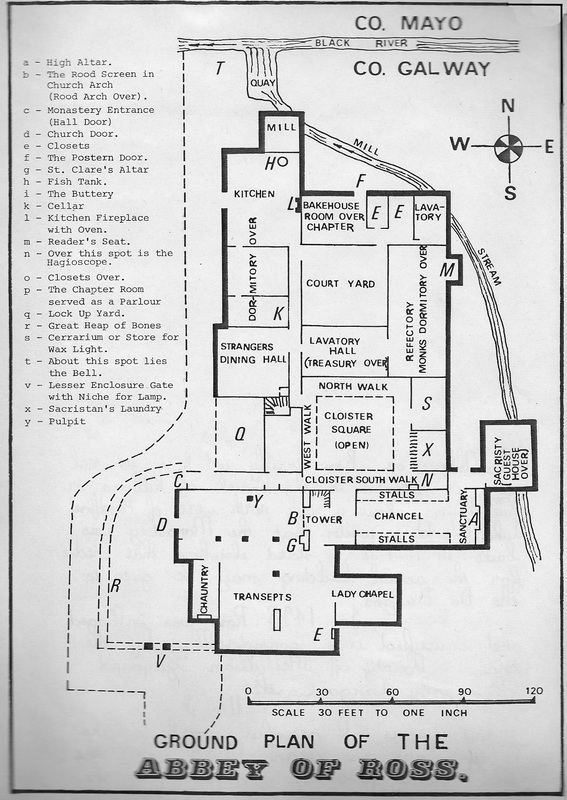 To explore the history of Ross Abbey on your next visit, open or save the image here which maps the layout of the rooms.